Streaming is an awesome way to meet people, work online, game online, and entertain your friends without ever leaving your room. In fact, people can make a ton of money streaming, which is why you must pick the right cam for the value. 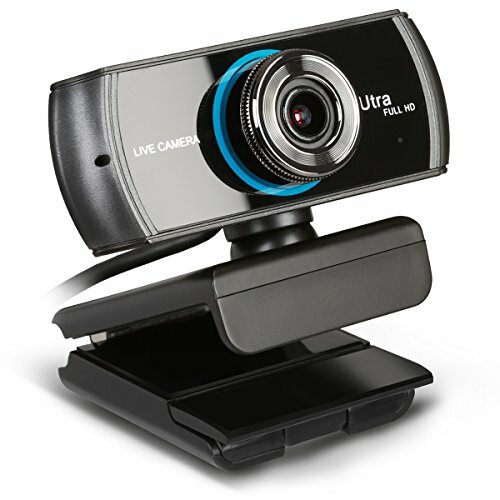 There is plenty to consider though, when choosing the best webcam for streaming. This value guide looks at the best webcams for streaming, as well as just about anything you want to do while paying special attention to resolution, capabilities, and price. Whether you want to stream video games, work remotely and need to video cam with your co-workers, or simply want to keep in touch with family abroad, then a streaming webcam is what you need. If you are building a PC made for streaming, then a webcam is a necessary important to getting more viewers and selling your personal brand. The following webcams are some of the most affordable and high quality on the market today. Streamers choose these webcams for their high resolution, high-quality audio, and special features such as recording and playback. Every webcam review also considers different streaming styles in case you are looking to start a personal brand or just hang with friends overseas. The C922x is one of the more popular streaming webcams available, and it is also an amazing value for the price. 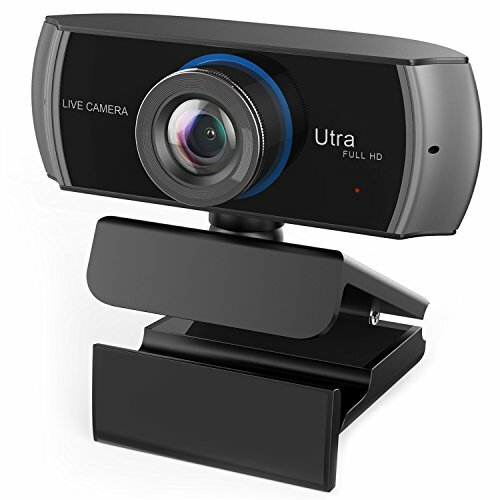 This web camera is specifically designed for those who want a professional quality video stream and has special features to make it a better experience for those streams. For example, you can record with background replacement technology that lets you overlay your live image over custom backgrounds. This is an essential element if you are a YouTube streamer or just like making really quirky videos. The camera comes with a HD glass lens and premium autofocus so you get razor-sharp, clear videos in consistent high definition two built-in microphones. This creates incredible audio, and it’s the reason why streamers purchase this cam over many others in the same market. However, there are a few minor drawbacks to this camera, such as the design and compatibility. The background removal is done through a third party software and can be cumbersome for beginners. Only works with Windows 7 or greater. The C922x Pro is almost a standard amongst streamers. 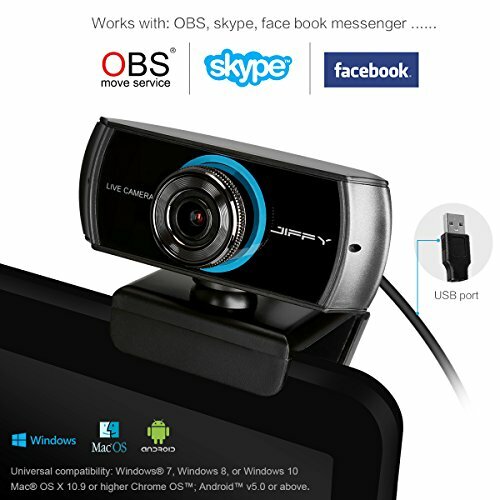 If you are on an extremely low budget to start, this may not be the right webcam when compared to lower resolution cams or a refurbished cam around $20 to $30. The Growfast Webcam for streaming is our favorite under $50 webcam because of its high resolution and facial enhancement technology. If you are a beauty streamer or just want incredible crisp video streams, this camera has amazing value and features. With 7-element optical glass lens, you get life-like video quality at 1080p or 1536p, which is pretty advanced for this day’s streamer market. The camera is also very versatile whether you are using a Mac or Windows computer, and it also has built-in plug and play for easy installation. There are a lot of features if you want to replace your background or enhance your skin appearance. However, a few features are lacking, and the quality can be disappointing with only 30 fps capabilities. Mic is not as high quality as other competitors. No additional lighting features besides autofocus and light correction. This is the perfect desktop camera if you are a beauty streamer or love to entertain up close. The ring-light camera is a new feature that does not come with much else like background replacement technology or facial enhancement technology. However, it is great for just simply creating a vivid stream with high resolution. 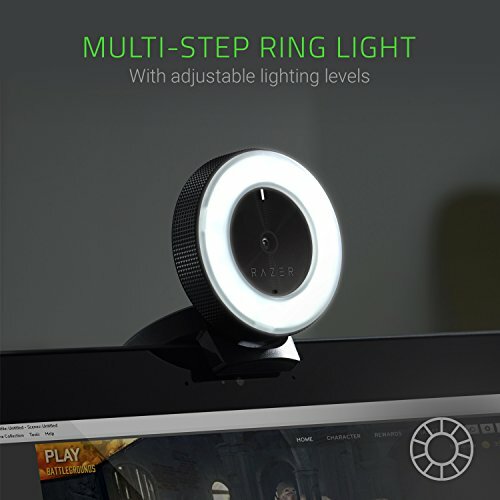 Gamers, YouTube, and Patreon streamers can get a lot of use out of the simplicity and great lighting features that are unique to this style of streaming webcam. The Razer Kiyo lets you adjust the brightness of the ring light so that you get the right flattering light. You can scream in 720p at 60 fps and 1080p at 30 fps. The cam also comes with built-in support for Open Broadcaster Software and Xsplit. Microphone quality is not the best if you want stereo audio. The cost is rather high for the LED ring-light feature. 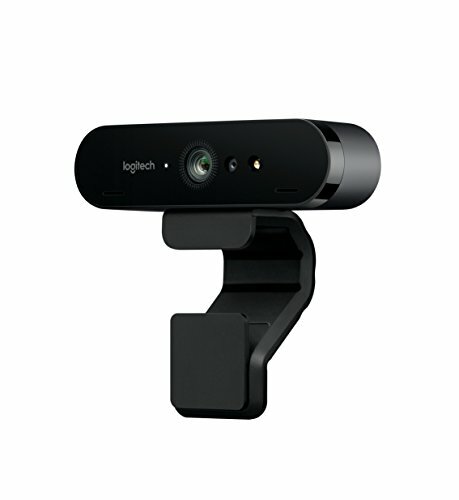 The Logitech BRIO is a high-end webcam for streaming, that delivers extremely high quality and accessibility for multiple devices. The webcam comes with some features that you will not find on any other webcam. These include 5x digital zoom, business certifications for Skype, 4k ULTRA HD recording, omnidirectional mics, and multiple fields of view. The webcam is great for business use, but it is also a great for streamers who want to use background replacement technology and high-quality resolution streaming. 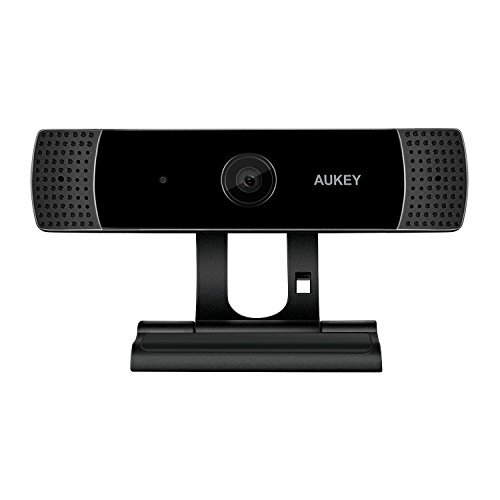 For professional streamers, this is one of the higher-quality webcams that you can use to broadcast podcasts and wide-angle conference rooms. The image quality is truly what separates this camera from others. The build quality and clip also make it a great webcam for any desktop setup. Some issues with software resetting preferences upon startup. There is no manual exposure adjustment. The price may be too high for a beginner streamer. Aukey is a decent-quality cam for the price tag. With full HD video, high definition 1080p, and built-in stereo microhophones, this webcam delivers on a high-resolution image. However, lighting may be an issue unless you have a good ambiance from where you stream. The camera has a 2-megapixel base and delivers 1080p streaming at 30fps. There are some features a little left to be desired. For example, the lighting features are a little behind and do not autofocus as sharply as with other cams in the market. In addition, there are no additional special features, which is probably due to the low price point. If you do not care about lighting correction, HDR, background replacement technology, or Open Broadcaster Software compatibility, then this is a great cam for beginners who just want something to stream with. If you want extremely smooth video and lots of features, then this Logitech C910 is the perfect solution for any streamer. 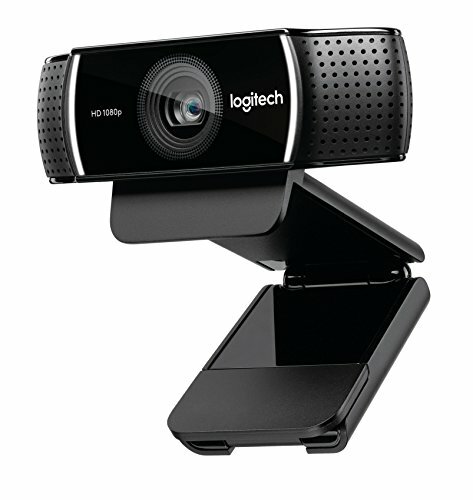 With full 1080p HD recording through Logitech Fluid Crystal Technology, you can stream or do video calls very quickly. You can also use the one-click video uploading for Faceboko and YouTube for quick, expressive video. Streamers enjoy the crystal clear quality and sharpness of videos with the C910. It is the perfect, portable clip-on camera when you need it to be as well. There are also several benefits for those who want a high-quality sound as well. This camera comes with stereo audio from dual built-in noise-cancelling mics. The compatibility for social platforms is awesome if you are creating videos on the fly or streaming from your desktop. You can also use with Twitch to create incredibly clear game casts. The price is a little bit high if you want a more simple cam, otherwise the incredible features are worth the price. 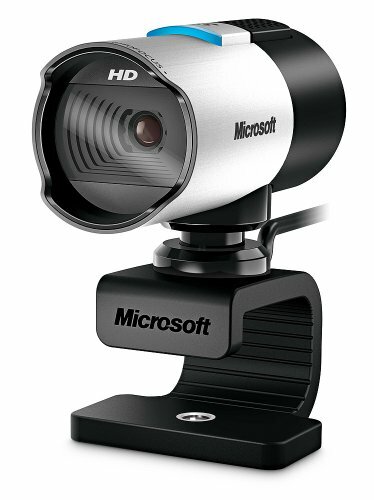 Microsoft LifeCam Studio offers a high-quality streaming cam with some advanced features for an overall great value to everyday streamers. The camera is compatible with both Windows and Macintosh computers and uses CMOS sensor technology. Some features include automatic face tracking, digital pan and tilt, 3x digital zoom, auto focus, and 30 fps streaming for 1080p resolution. The omnidirectional wideband microphone delivers on sound quality as well. If you plan to use for video calling for work, this is a great professional option. This camera does not have background technology or any lighting enhancement features. You can only stream up to 30 fps. It may not be compatible with Windows 7 or Windows 8 software. It is hard not to love the all-in-one with ring light Marantz Profesional Turret. This is the only cam available today with amazing free-standing broadcasting features that are perfect for livestreaming, podcasting, and video creation across all networks. With this streaming webcam, you get a full HD webcam with Hd. 264 video compression. The high-quality USB condenser microphone with a pop filter that allows you to deliver crisp audio in addition to video. However, the best feature about this is the unique dimmable LED ring light that can deliver different lighting with filter accessories on the fly. The quality matches the price for this camera. 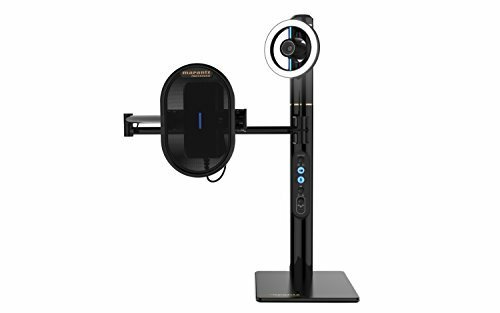 The tower style is not very portable but perfect for desktop stream stations. The Ontop+ offers a 6-element glass lens and delivers 1080p at 30fps. The result is picture-perfect video at the standard streaming quality. Ontop+ also wanted to make audio crystal clear and developed a stereo sound audio with noise-cancellation microphones. The camera uses automatic low light correction that lets you stream crystal videos in dim light. There is also the live streaming USB camera feature that comes with OBS Studio, so you can deliver entertaining videos across all channels. The wide angle view allows you 80 degrees of panoramic views, so that you can telecommute and join meetings or just have a wider view angle for your gaming stream. This is an awesome webcam for under $50 that has great features for streaming in high-quality definition. There is a little left to be desired for lighting and autofocus features. This streaming webcam is a best buy for under $50. You get incredibly smooth 1080p video streaming, and it works with Skype, Facebook, YouTube, Patreon, and Twitch. The microphone has a built-stereo microphone for crystal clear voice quality. It is also one of the best camera for face tracking, motion detection, and lighting controls. You can deliver a smooth video in one-click to most networks as well. This camera is very portable and can pivot from side-to-side. Lighting correction is not available with this camera. Background replacement technology and other features are not included. 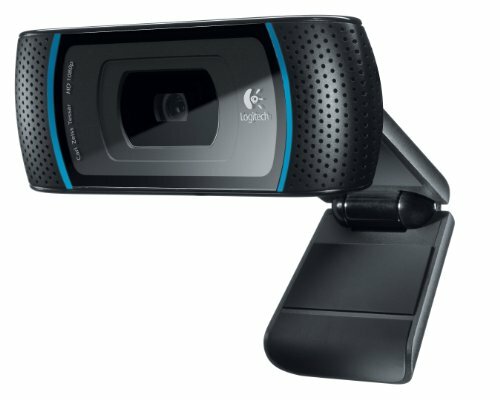 Streamers are typically choosing Logitech webcams at the moment. The competition between 922 and 910 is pretty tight. However, the 922 delivers a little bit more modern features for the price than the 910. The Marantz Professional Turret is also an incredible purchase if you are a beauty blogger and want professional lighting in addition to all of the standard features of most webcams.